​The U.S. Veterans Corps (USVC) is an effort by military veterans who participate in community service projects & events in the military & civilian community. 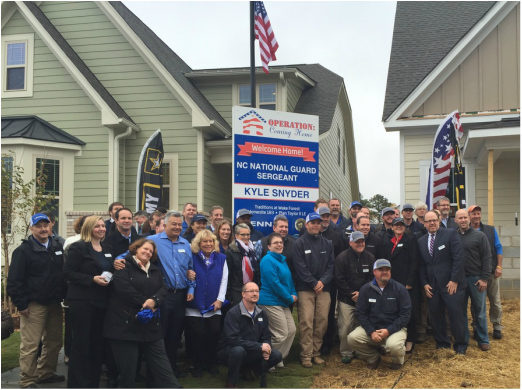 Under the creed, “What A Few Can Do,” the USVC was an idea that was based on the experiences that Ft. Bragg & Camp Lejeune veterans had while volunteering for ABC’s Extreme Makeover Home Edition and Operation: Coming Home. The US Veterans Corps Team produces and directs the Operation: Coming Home Groundbreaking and Key Ceremony events for the HBA. The veterans are volunteers from every US military branch including veterans, spouses, dependents and patriotic citizens. Learn more. 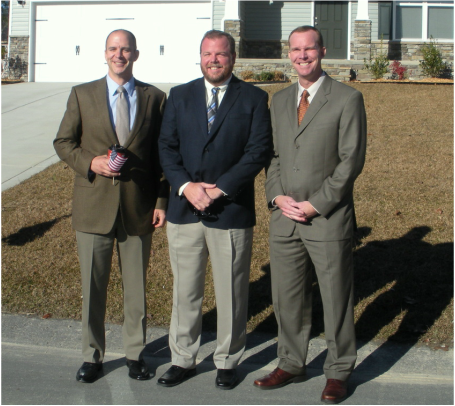 OCH has worked with builders who include: Fresh Paint by Garman Homes, Pulte Homes/Centex, Lennar Homes, M/I Homes, Royal Oaks Building Group (now a division of Mattamy Homes), Chesapeake Homes, CalAtlantic Homes and Level Homes.